A full range of foot and nail care is now available at Whickham Dental Practice. Lyndsay Derrick provides an integrated treatment approach to diagnose and treat problems related to, or caused by, your feet. If you have lower back pain, or knee, ankle and foot pain, then it’s possible that it is caused by poor foot function. 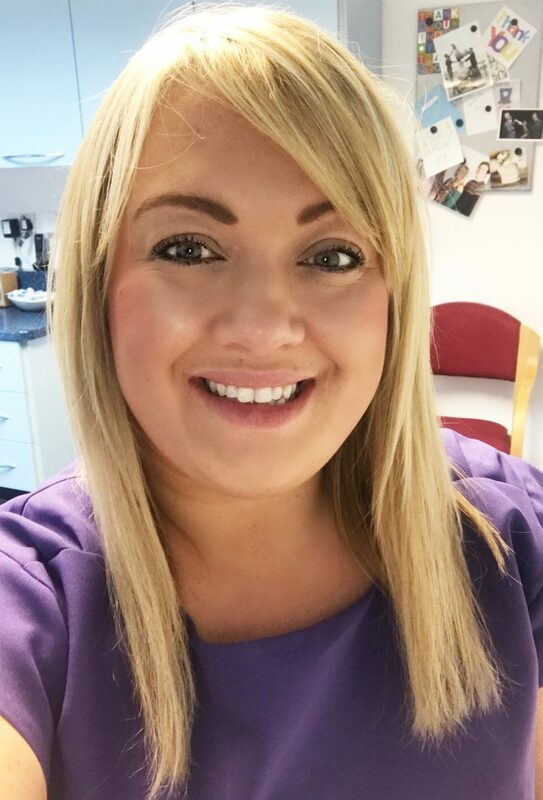 Lyndsay uses careful examination and analysis to determine if your foot problem is related to a disorder such as bunions, in-growing toenails or a problem with your shoes, and then offer you the best advice and treatment available. Corns are caused by pressure over bony areas such as joints, the ends of toes or under the foot. If a corn presses down on a nerve, it can cause pain. Calluses are the result of pressure or friction producing hard dead skin over any bony area, often on the ball of the foot. Unlike corns, calluses do not have a central core. Bunions are a deformity of the big toe joint, producing a painful and enlarged joint that can make walking difficult. Wearing shoes that fit correctly can help to ease the discomfort, but you should seek a chiropodist’s advice on how to treat this condition in the long term. In growing toenails can be very painful and are normally caused by ill-fitting shoes or by cutting the toe nails too short. Treatment from a chiropodist is often required for this condition. Verrucas are warts on the feet causes by a virus, and most frequently occur on the sole of the foot. Left untreated, they can get bigger and spread. Lyndsay can discuss the different methods of treating a verruca. Athletes’ Foot is a fungal infection and is very contagious. Symptoms can include itchy rash, splitting of the skin between the toes, or blisters under the toes. It can be treated by regular use of an anti-fungal powder, spray, or cream. Chilblains are caused by poor circulation in cold and damp weather, and can cause redness, tingling and an itching sensation as well as inflammation and swelling. In cold weather, avoid heating your feet up too quickly. Wear long woolly socks and make sure that footwear is not too tight. Regular foot exercises and bathing your feet alternately in warm and cold water can help, but you should consult your doctor if you have serious problems with chilblains or cold feet.